Random Accomplice is able to turn its hand to more serious matters – recent comedy Wendy Hoose made salient points about disability within the fast-flowing gags – but News Just In is playing to the strengths of Julie Brown and Johnny McKnight. With this typically cheeky and iconoclastic response to the Commonwealth Games, Brown and McKnight are building on his reputation for pantomime and the company’s reputation for taking a high concept and giving it a populist slant. Unlike much of the Culture 2014 programme, there is a thankful lack of chat about legacy and showcasing the nation in News Just In. Rather, McKnight sees this ambitious run at the Arches as a sort of summer pantomime, with additional topical humour and ambition – at least for the actors, who will be giving ten consecutive first-night performances. The Arches, Glasgow, Tue 22 Jul – Sat 2 Aug. The Tartan Tonight newsroom presents a roundup of all things Commonwealth Games. Keep up with the latest in a tantalising soap opera while getting all the up-to-date Games news and gossip. 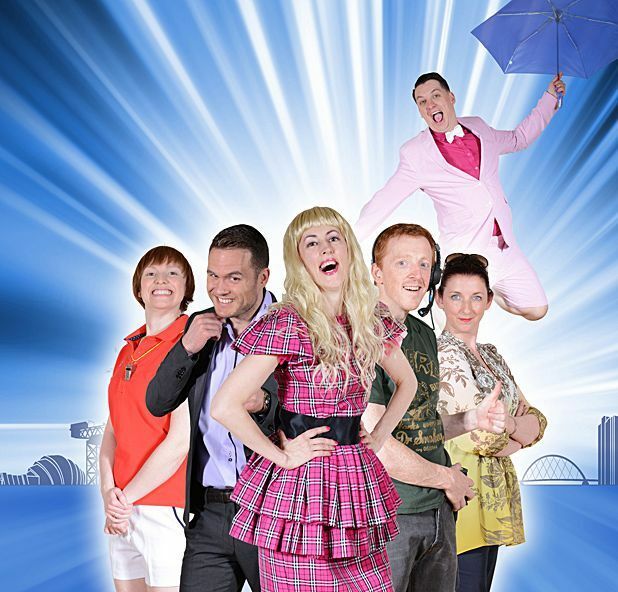 Featuring a cast of six of Scotland's top comedy actors and a dynamic team of writers.